In our age of trendy technologies, one can observe a variety of unusual and interesting ideas, one of which is luminous paint. It can be purchased or manufactured at home. This article is about how to make a glowing paint. Such a paint is of two types: fluorescent and fluorescent. Luminescence is the ability of objects to glow at night. To do this, the material must be applied luminescent (phosphor) paint, which is based on the phosphor - phosphorescent powder pigment, absolutely safe and non-toxic analogue of phosphorus. 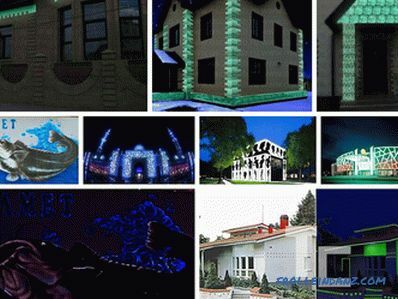 Due to the content in the luminescent paint of phosphors accumulating solar or artificial light, at night the surface covered with glowing paint begins to glow. The effect of fluorescent paint is manifested under the action of ultraviolet. 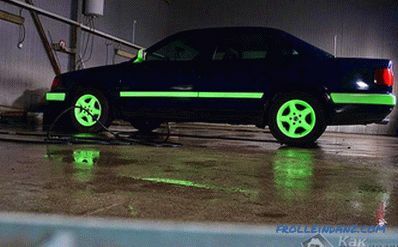 Luminous paint is a combination phosphor pigment and clear lacquer. Activate the process of luminescence included in the paint lanthanides and aluminum oxides. The phosphor has the ability to accumulate light energy and the property of a long period of highlighting. The source of charge for it can be sun or ultraviolet rays, incandescent lamps or fluorescent lamps. Only 15 minutes of intense daylight or artificial lighting is enough to charge for eight hours of light. It is noteworthy that the process of light accumulation is a continuous cycle, as well as the fact that manufacturers give a guarantee for the use of luminous inks for at least 30 years. Moreover, the phosphor is well adapted to temperature changes, it is cold and heat-resistant, so it is used for interior and exterior work. 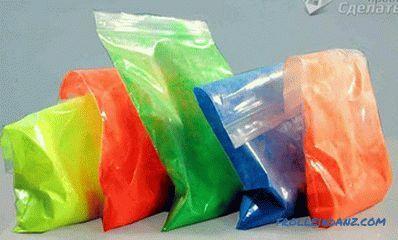 Luminous pigment-powder comes in mostly light green and blue shades. If you add color, then in the end you can get orange, red-orange, yellow, blue, yellow-green color. 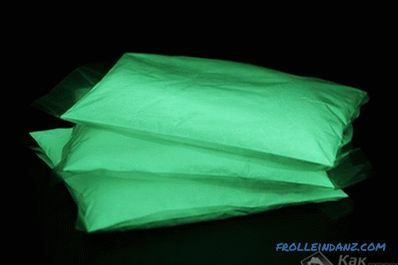 Interestingly, the brightest glow reproduces the light green-yellow pigment powder, which has a pale-green tint during the day. The glowing grout for the tiles in the kitchen or bathroom looks original in the interior. Moreover, the luminous grout has a moisture-proof effect. 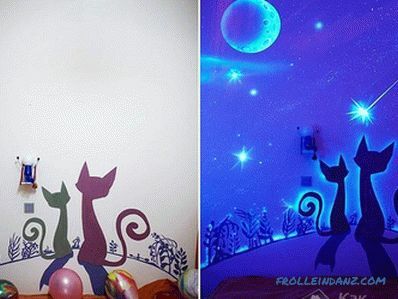 The paint glowing in the dark can turn a room into a fairy tale . Truly wonderful, being within the apartment, to contemplate the beauty of the night starry sky on the ceiling. The amazing properties of glowing paint make There is a huge space for imagination and creativity: images of own production or reproduction of famous artists on the walls, patterns on furniture, textiles, accessories, characters from favorite cartoons in the nursery, graffiti - all this creates a fascinating atmosphere in the interior. For application to metal surfaces. In this case, the paint can be used for tuning cars, for example, when performing airbrushing or for painting car drives. You can also apply for the design of facades and metal surfaces in the interior. For facades. 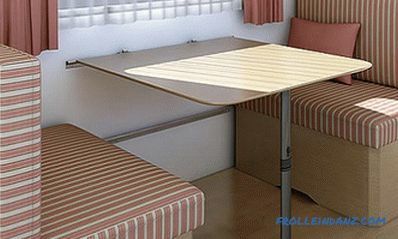 Designers recommend its use in office space, residential apartments, nightclubs. 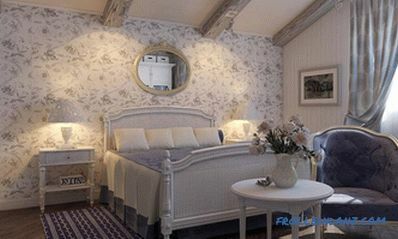 The paint is beautifully applied to drywall, concrete, plaster and even wallpaper. For application to plastic products, including souvenirs, key chains, pens, fridge magnets, and switches. For promotional purposes, to image on textiles. Glowing inscriptions and drawings put on T-shirts, shoes and school bags. For coating glass and glossy surfaces. In this case, paint paint glasses, glasses, wine glasses, ceramic tiles and stained glass. Glass countertops, mirrors, vases, painted with glowing paint will look quite impressive. For application to flowers and plants - buds and petals of bouquets of flowers, leaves and branches of indoor plants, compositions of decorative artificial plants. 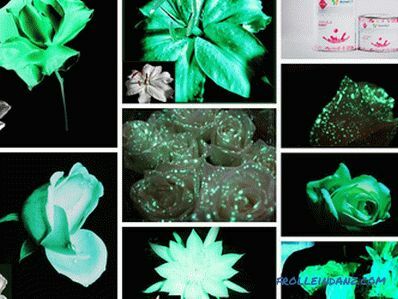 The use of water-dispersion acrylic base luminous paint is harmless to fresh flowers and provides a very fast drying. For painting window frames and doors, cabinets, tables and chairs, parquet, fences, gazebos, gates. Since the luminescent paint contains alkyd polyurethane content, the painted surface is resistant to weathering. 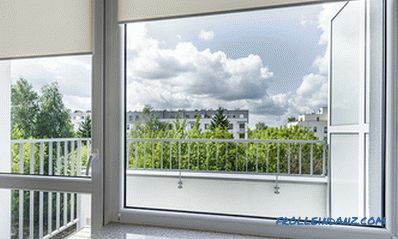 For decorating plastic windows, pipes, front panels of household appliances, window sills. Making luminous paint at home is a painstaking process that requires the necessary materials. You need to pour varnish into the dishes. Then the phosphor should be added. The brightness of colors and saturation of the glow depends on the amount of phosphor. For a better distribution of the phosphor, it is necessary to add a small amount of solvent to the mixture, but not more than 1% of the total mass. Next, you need to thoroughly mix the mixture until a homogeneous consistency. You can add the desired color to the finished transparent enamel. The second name of the fluorescent paint is ultraviolet or invisible. Its difference from the luminescent one is that it does not begin to glow independently at nightfall, in order to see it, it is necessary to expose to ultraviolet radiation. With artificial and daylight, it has the appearance of ordinary paint. 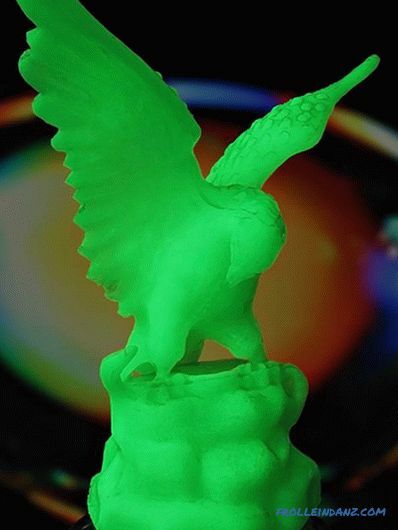 It contains a transparent base and a fluorescent pigment - a powdered dye created from thermoplastic resins. These pigments are safe and non-toxic. The most spectacular are green, yellow, pink and red ultraviolet paints, as they appear well with a weak ultraviolet source. The spectrum of applying fluorescent paint is as broad as the fluorescent one — metal, glass, wood, ceramics, plastic and PVC, textiles, flowers. Also used for outdoor work - landscape design and exterior. Fluorescent paint is completely safe for people and animals, and can be used in residential areas. Do not worry about the radioactivity, toxicity, or flammability of luminous paint. 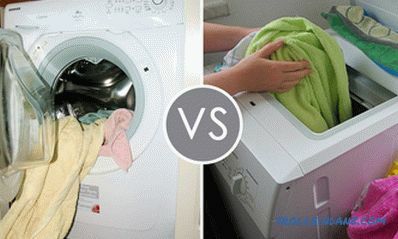 It should be purchased from manufacturers that have an appropriate safety certificate. For your own safety, you should carefully read the safety data sheet and the production certificate of the manufacturer of luminous paint before purchasing it. It is necessary to be careful of the Chinese fakes because of their excessive toxicity caused by the addition of phosphorus. 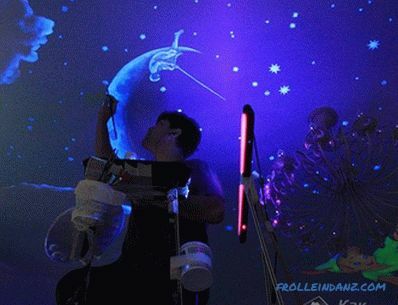 Thus, lovers of everything new, creative should decide to use luminous paint and create a bright, colorful, enchanting and fairy-tale world around themselves.